Maine is one of the northernmost states in the contiguous U.S. It was originally part of Massachusetts until its residents broke off and formed their own state in the rugged wilderness near the Canadian border. Located on the Penobscot River in the central part of the state, the city of Bangor is called the Queen City of the East. This small jewel of a city contains excellent dining, shopping, and lodging options, as well as many attractions for travelers to see. Here are the best things to do in Bangor, Maine. Since 1946, the University of Maine Museum of Art has been dedicated to helping students and the public develop an appreciation for contemporary art. The museum’s permanent collection contains over 3,800 works of 20th century art with an emphasis on photographs and original prints. 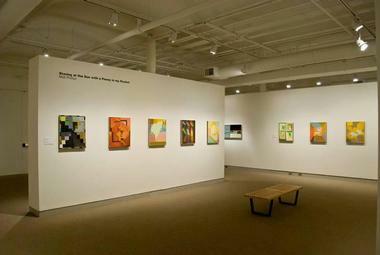 Notable artists with works on display include Andy Warhol, Andrew Wyeth, Richard Estes, Diego Rivera, and Pablo Picasso. The museum also hosts travelling exhibits and workshops, and it provides classroom resources and visits to schools in the Bangor area. 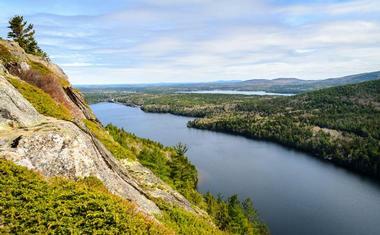 Acadia National Park is a rugged wilderness located just off the coast of Maine. The park, which is made up of Mount Desert Island and several smaller islands, is the oldest national park east of the Mississippi River. 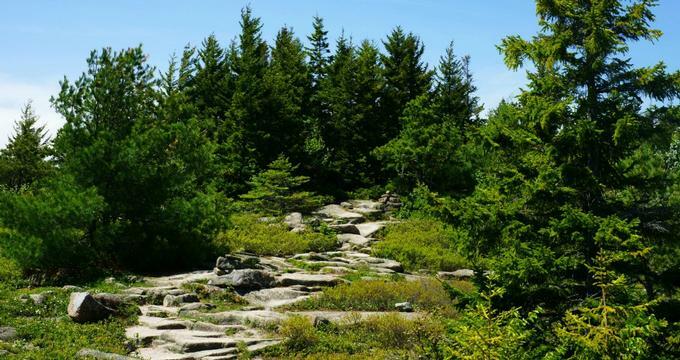 Acadia is home to Isle au Haut, Bass Harbor Head Lighthouse, the Schoodic Peninsula, and Cadillac Mountain, the tallest peak along the eastern seaboard. Visitors can enjoy hiking, bicycling, boating, fishing, picnicking, camping, or horseback riding. Activities such as skiing, snowmobiling, and ice fishing are available in the winter. Acadia is open year-round. However, some roads and attractions may be closed in the winter. 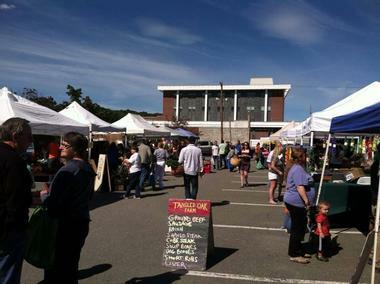 The Bangor Farmers Market is an open-air gathering of merchants held every Sunday afternoon May through November. Local farmers and growers offer fresh fruits and vegetables for sale to the public. Cheeses, breads, coffee, baked goods, and locally raised meets are also available. The market is held across from the library in Bangor from 11 a.m. to 2 p.m. During the winter months, the market moves indoors to the Sea Dog Brewing Company. Market vendors accept cash, credit or debit cards, and SNAP benefits. Land vehicles such as cars, trucks, and trains played an important part in clearing and shaping the land that would become the state of Maine. The Cole Land Transportation Museum seeks to preserve these vehicles and the history of the early pioneers and businessmen who settled here. The Cole Foundation hopes that their stories will inspire future generations to work hard and achieve greatness. The museum features exhibits of early cars and trucks, trains, snow plows, fire engines, and more. 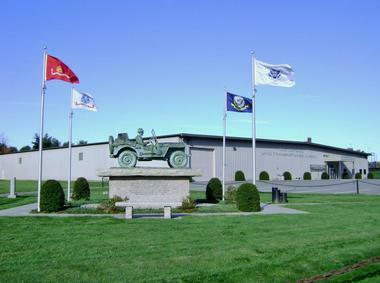 There are also exhibits and memorabilia dedicated to the military servicemen and women of Maine. The museum is open daily from May 1st through November 11th. Located on the University of Maine campus, the Collins Center for the Arts is a cultural hub for locals and visitors alike. The center contains the 1435-seat Hutchins Concert Hall, the Minsky Recital Hall, and the Bodwell Lounge Area. The Collins Center hosts a variety of events including concerts, shows, lectures, and films. It also serves as a venue for the events and performances of the University of Maine School of Performing Arts. Miller’s Café on the center’s first floor provides food and refreshments during many performances. Upcoming show information can be found online. Tickets can be purchased online, by phone, or at the center’s box office. The Hudson Museum, a part of the University of Maine, is located on campus in the Collins Center for the Arts. The museum contains a large collection of historical artifacts and items from cultures around the world. Permanent exhibits include over 2,000 pre-Columbian ceramics, Northwest coast art, 900 objects from the Maine Indians, and ceramic items from many other Native American cultures. The museum also hosts lectures, traveling exhibits, and field trips for elementary and high school students. The Hudson Museum is open Monday through Saturday until 4 p.m. Admission is free of charge. The Maine Discovery Museum is the place for kids to have “too much fun!” This large museum is dedicated to inspiring innovative learning, creativity, and a sense of wonder in children. Hands-on exhibits teach visitors about nature, plants and animals, the human body, art, technology, and world cultures. Weekly clubs and programs dedicated to art, math, science, and fitness are also held here. Special camps are offered during school holidays. They even host birthday parties at the museum! The Discovery Museum is open Tuesday through Sunday until 5 p.m. Admission is $7.50, and special group rates are available. Fork & Spoon Downtown Eatery is a great place to meet, converse, and of course, to eat! Visitors can start with a fruit and vegetable smoothie, then move on to one of their delicious soups, salads, and sandwiches. All entrees are made with fresh produce and delicious meats, cheeses, and seasonings. For dessert, Fork & Spoon offers ice cream and baked goods made by local food artisans. 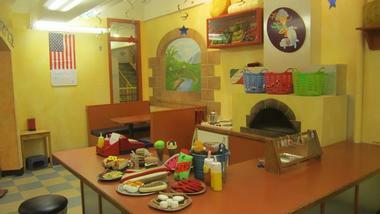 Their menu also offers vegetarian and gluten free options, and their café has free Wi-Fi. The eatery is open daily for breakfast through dinner. Hours vary by day. Timber Kitchen and Bar lives up to its name. Located in the heart of Bangor, this trendy casual restaurant showcases stunning wooden décor and hearty local cuisine. Ceiling and wall planks made of real, unpolished wood combine with smooth wood floors and marble table tops to create an interesting, comfortable ambiance. Diners can indulge in favorites such as breads, cheeses, seafood, burgers, pizza, and handmade pastas. 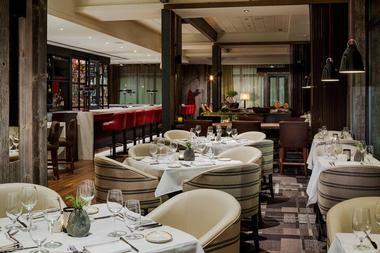 Many dishes use fresh, local produce, artisan cheeses, and sustainably sourced meats. Guests can also enjoy a drink at Timber’s well-stocked bar. Timber is open from 11 a.m. to 11 p.m. during the week and until midnight Fridays and Saturdays. Listed on the National Register of Historic Places, Mount Hope is the second oldest “garden cemetery” in the United States. As the cities grew in population, residents began requesting areas outside of the city limits to bury their dead. Mount Hope Cemetery was developed in 1836 and covers 300 partially-wooded acres overlooking the Penobscot River. Trees, shrubs, flowers, and monuments cover the carefully landscaped grounds. Paved roads allow for easy walking or driving through this peaceful resting place. The cemetery is open daily throughout the year. Hours vary by season. For decades, tales of legendary folk hero Paul Bunyan have been told and re-told across America. The towering lumberjack, along with his double-sided axe and his big blue ox, cleared massive amounts of forest to make way for settlements and farms. Bangor is one of at least six towns in the U.S. to claim Paul Bunyan as their own. However, Bangor’s statue of Bunyan is definitely the tallest! The fiberglass-over-metal statue stands 31 feet high and weighs 3700 pounds. Having a photo taken with Paul Bunyan is a must for any visitor to Bangor. The statue stands in Bass Park in front of the Bangor Civic Center. The Penobscot River Walkway is a paved, half-mile stretch along the Penobscot River in Bangor. The trail is open for walking, bicycling, fishing, and in-line skating, and it is wheelchair accessible. The walkway is a part of Bangor’s Waterfront Park. The park contains picnic tables, restrooms, and boat slips for water traffic. Many events are held in the park throughout the year, including outdoor open-air concerts each summer.